Published Bestsellers: "I have read a lot of books... but none more entertaining and 'readable' than this one." "I have read a lot of books... but none more entertaining and 'readable' than this one." "If you have read 'Dane Mills Bosley', by the same author, then you must read this one as in my view, it is even better. 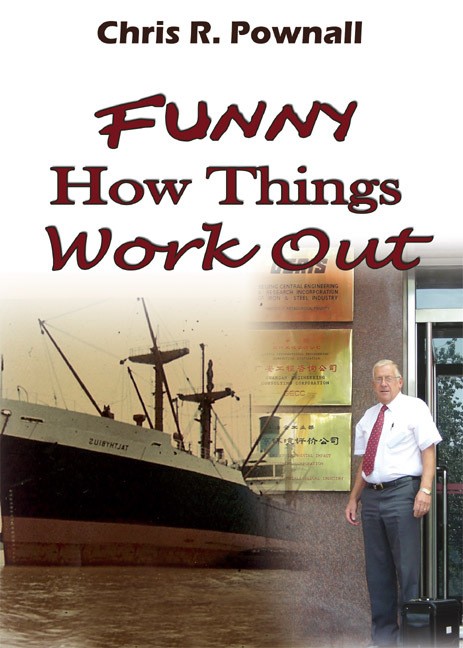 It follows Chris Pownall journey from his early days at Primary School and names one or two fellow pupils who influenced his early life through to his days in the Merchant Navy, which are a real eye opener as he travelled the world, then onto his 40 years of employment with James Walker. Some of the stories are amusing, witty and entertaining and I, quite frankly, could not put the book down until I had finished it. It contains a few 'malapropisms' but to me these add to the overall enjoyment of the book. I have read a lot of books by some well established authors but none more entertaining and 'readable' than this one."